Radiance Technologies plans to move into its new headquarters late next year. 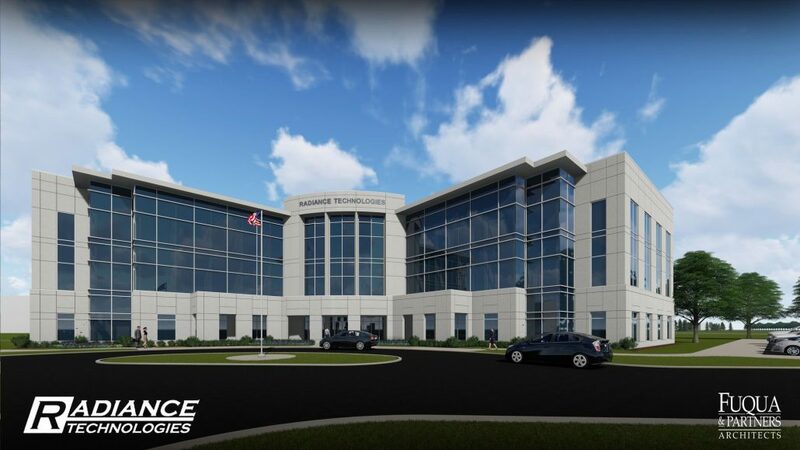 There will be a family reunion when Radiance Technologies’ new headquarters is finished next year. The employee-owned company will be housed in a 100,000 square-foot facility in Cummings Research Park bringing the 500-member “family” together from its current five locations. “We’re stronger when we’re together,” Bailey said. Radiance started in 1999 when George Clark, John Dennis and Scott Dublin opened a 3,000 square-foot facility in Executive Plaza with folding tables and chairs as office furniture. The company provides a variety of services and work for primarily government clients in cyber solutions, engineering services, integration and prototyping, operational intelligence and technical intelligence. Their plan from the outset was to be employee-owned and Bailey cited that concept for the company’s success. “This is what happens when you have skin in the game,” Bailey said. The company’s headquarters is on Wynn Drive and will move to the site on Bob Heath Drive in Cummings Research Park next year. Madison County Commission Chairman Dale Strong said Radiance is a key player in the community. Harrison Diamond, the city’s business development director who has helped bring companies into Huntsville, said it was great to recognize a local business expand. “It’s wonderful to watch our home-grown companies growing,” he said. Bailey saluted the cooperation of the city, the Chamber and county in the growth of Radiance. Huntsville has undergone several identities over the past century: From cotton capital to the Rocket City to the Silicon Valley of the South. Now, there’s a new addition to the city’s monikers – The New Wave of Nuclear. And leading that wave is BWX Technologies, a leading supplier of nuclear components and fuel to the U.S. government and commercial customers. 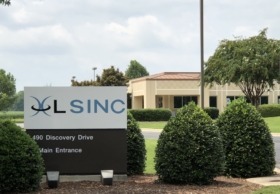 The Virginia-based company held a ribbon-cutting Thursday for its office in Cummings Research Park. “We are the nuclear manufacturing company that people never heard of,” said company President/CEO Rex Geveden. Geveden, who spent 17 years at NASA, joined BWXT in 2015 as chief operating officer, responsible for all operating business units. Previously, he was executive vice president at Teledyne Technologies, leading two of the four Teledyne operating segments – including Teledyne Brown in Huntsville. The company is also setting its sights on helping space travel – BWXT was awarded a contract by NASA to initiate conceptual designs for a nuclear thermal propulsion reactor in support of a possible future manned mission to Mars. 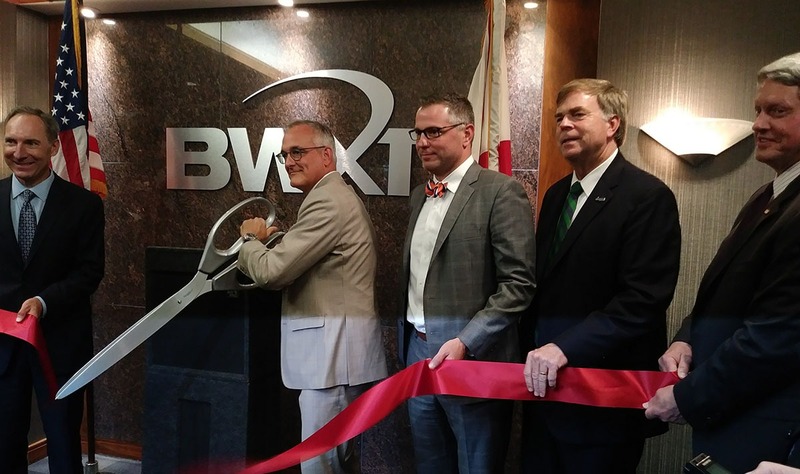 “That’s an exciting thing about having BWXT here,” said Huntsville Mayor Tommy Battle. “They do really cool things when you think of thermo-nuclear propulsion. BWXT has a vision for the future in Huntsville.